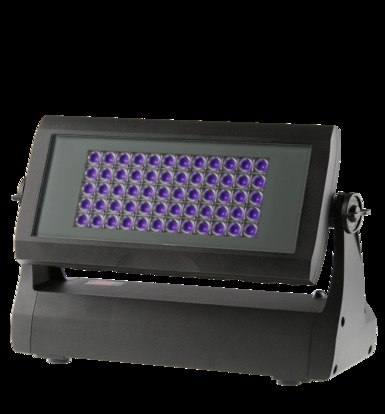 The Divine 60 UV is a breakthrough in true UV illumination - a 180 Watt all-LED luminaire providing superb UV output levels at 365 nm. Precision UV-stable components are housed in an IP67 rated casing with flexible mounting options enabling rapid installation, making it perfect for themed environments and events of all types. Inbuilt DMX and RDM control facilitates the accurate setting of light levels, and a wireless control option allows retro fitting into existing installations without needing additional control infrastructure. 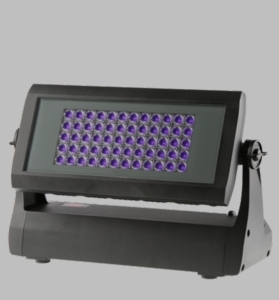 Perfectly suited for both indoor and outdoor environments, the Divine 60 UV as an ideal choice for theatres, theme parks, attractions, leisure facilities and entertainment events requiring a true UV ‘black light’ effect.